Recently this blog deplored the absence of literary translation from the International Conference on Non-Professional Interpreting and Translation (NPIT 3). It's true there always have been literary translators (LT) who were Professionals, for instance Karl Marx's youngest daughter Eleanor Marx Aveling. It's also true that a few LT became Expert Translators through the degree courses in literary translation studies that are offered by a handful of universities, for instance the MA in Literary Translation that used to be offered by the University of Alberta in Canada. However, academically trained literary translators are the exception. 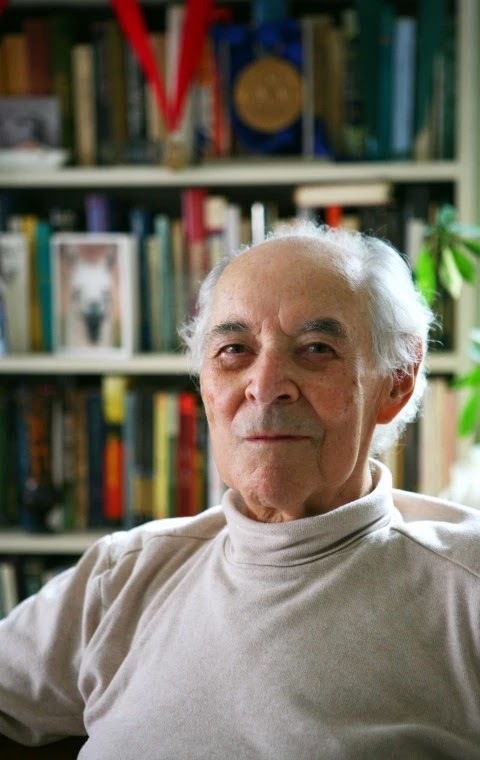 There was a reminder of this last week in the sad news of the death of Gregory Rabassa, one of the most eminent of contemporary LT, He was of course by the end of his life a much sought-after Professional Expert for translating Latin American literature. Yet according to the obit in the New York Times, "His renown in the field was even more striking in that he had never intended to become a translator at all." He was already nearly 50 when he made his name and fortune by his translation of Julio Cortázar's Rayuela (Hopscotch). 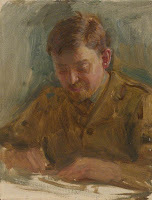 He went on not only to do translations but also to write as a practitioner about translating. His preparation for his success began already in his early bilingualism. He was born in New York into the family of a Cuban émigré. Then he taught Spanish and Spanish literature for several decades at Columbia University and at Queen's College of the City University of New York, His career therefore exemplifies two characteristics of the Advanced Native Translator – that is to say, the translator who does not study or receive training in translating but absorbs how to do it by living among translations done by predecessors: namely, fluent bilingualism and a close familiarity with and love for the literatures of the two languages. I heard Rabassa say that his success was due to his many friendships with Latin American writers. The result is not necessarily a Professional Translator as in Rabassa's case. It may be altruistic. I've recently been reading a translation by an American university professor of Spanish from another generation. It's an English translation of Vicente Blasco Ibáñez's Cañas y Barro (Reeds and Mud) by Lester Beberfall, B.A., M.A., Ph.D. [sic on the title page], He lived from 1911 to 1973 and was Professor of Spanish at Wisconsin State University in the 1960s. I'm reading it for what is probably the reason Beberfall translated it: it paints a fascinating, realistic picture of rural life around Valencia a hundred years ago. I see vestiges of it every day, especially the rice fields. But far from being a Professional, Beberfall didn't publish any other translations. Yet another Ádvanced Native Translator who has brought me great pleasure is Prabha Sridevan, a native of Kennai (formerly Madras) in South India, who translates from Tamil to English. She is not a Professional Expert Translator by training or study, but a retired judge of the Madras High Court who has turned late to translating. Like many Indians, she grew up bilingual in Tamil and English. She studied literature as well as law. Now she has discovered for the delight of English readers the stories of Tamil woman author R. Chudamani (1931-2010). She was a prolific short story writer: more than 500 of them, yet we don't know her in the West. Subtle, sympathetic cameos set in a different family culture and translated into a perfect but faintly different English that goes with them admirably. Prabha's book has introduced me not only to Chudamani but also to the rich world of translating in India. It is fostered by the multiplicity of native languages to which is added a surprisingly persistent prevalence of English as a literary lingua franca. The translation journals in the West carry many articles about translating in China, Japan, the Arab world, etc., yet little about that seething activity in India. A gap to be filled. Gregory Rabassa. Wikipedia, 2016. There is a full list of his translations. Margalit Fox. Gregory Rabassa, a premier translator of Spanish and Portuguese fiction, dies at 94. New York Times, 15 June 2016. Vicente Blasco Ibáñez. Reeds and Mud. Translated by Lester Beberfall. Boston: Brandon Press, 1966. R. Chudamani. Seeing in the Dark. Translated with introduction by Prabha Sridevan. New Delhi: Oxford University Press India, 2015. Gregory Rabassa in 2007. Source: Washington Post. Have you been frustrated by going to my academia.edu page (https://independent.academia.edu/BHARRIS or click here) in search of the above article and finding that it was unreadable? I'm sorry. It was due to a problem that occurs more and more with old texts. The word processing software, in this case Microsoft Word, has changed over the years and there are applications, in this case Scribd, that don't accept all the conversions. I've now put it right for this article, I hope, so please try again. Nevertheless the conversion has left some typos and I don't have the patience to correct them all for the moment. It's the Spanish translation of an English article that's also on my academia.edu page. The Spanish version was published in its day but the English one never was. However, an Italian professor who read the English version recently, Gabi Mack of Bologna-Forli, tells me that it's still of interest. Tha could be, because it aimed to be all-embracing and up to date at a time (1994) when most of the recent developments in interpreting had already appeared. What has changed, I think, in the twenty years since it was written is the relative importance of certain types. Distance interpreting, and especially telephone interpreting, have become more widespread and accepted. Yet they are still surprisingly little taught in university training courses. There's a serious time lag. 'Panorámica de los distintos tipos de interpretación', translated by M. G. Torres. In P. Fernández Nistal and J.M. Bravo (eds. ), Perspectivas de la Traducción Inglés/Español: Tercer Curso Superior de Traducción, Instituto de Ciencias de la Educación, Universidad de Valladolid, Spain, 1995, pp. 27-48. Last year a distinguished translator and reader of this blog, Chris Durban, chided me for not revealing my real name. It's true I've always posted under the pseudonym of Translatology, a name for which I have a certain affection. All you could learn about me from that was the little that's in the potted profile on the right hand side of this page together with what you might deduce from my writings here and on my academia.edu page. But now my cover has been blown because a kind Italian friend has put a fairly full biography of me in Wikipedia, the modern hall of fame. The editorial staff of Wikipedia aren't happy with the style of the entry, but I've checked the contents and they're accurate. So if you're curious, go to Wikipedia (English edition) and look for Brian Harris (translation researcher). But beware! Be specific or go directly to https://en.wikipedia.org/wiki/Brian_Harris_(translation_researcher, because there are several other Brian Harrises in Wikipedia. And none of the Brian Harris photos on Google Images is me.